Please remember that this year’s Winter Break begins on Wednesday, December 22nd and runs through Tuesday, January 4th. The last day of school prior to Winter Break is Tuesday, December 21st. School will resume on Wednesday, January 5th. Today’s blog post will be the last blog post until after the Winter Break. Regular weekly blog posts will resume on Wednesday, January 5th. Have a safe and happy holiday! * Due to the cancellation of Monday’s scheduled OFHS Holiday Band/Choir concert, there will now be two performances this Thursday, December 16th in the High School auditorium. The first performance will begin at 6:45 p.m.; followed by a second performance set to begin at approximately 8:15 p.m. Please click here for additional details posted on the High School website. Each year, with the arrival of winter, we receive a number of questions regarding our District’s policy for closing school due to inclement weather conditions. We understand that the decision to close schools has an enormous impact on all of our families. The District makes a great effort to make the final determination about whether or not to close the schools sometime between 5:30 – 6:00 a.m. There are several factors that are taken into account during the process of making the decision including road conditions, building and grounds condition, air temperature, and weather forecasts. When severe weather exists, we typically begin monitoring the situation at 4:00 a.m. with District personnel on-site to assess the condition of both roads and facilities. When road conditions are less than ideal, District personnel are in direct communication with local safety forces and local road crews to determine whether buses can travel safely on our local roads. In most instances, if roads are deemed safe for travel by our fleet of buses, school will be in session for Olmsted Falls School District. In regard to cold weather or wind chill, please keep in mind that one variable that differentiates Olmsted Falls School District from neighboring districts (such as Berea, Fairview Park, North Olmsted and Strongsville) is that our District provides transportation services for all of its students and does not have a walking zone for students, like many of the surrounding communities. Because of this level of transportation service, there may be times when Olmsted Falls School District is able to remain open while other surrounding districts are forced to close. Ultimately, the decision on whether to send your child to school is your own. We do ask that you notify your child’s school building as you normally would if he/she will not be in attendance on a day that school is in session. Should the decision be made to close schools, all efforts will be made to notify local media outlets by 6:00 a.m. In addition, a school closure notice will also be posted on our District website at www.ofcs.net. Please Note: When our schools are closed for the day, this also means that school activities and events (including evening events) are cancelled as well – with the exception of High School level athletics only. While actual High School level athletic games are always cancelled on snow days, team practices may be held at the discretion of the coach, and with the approval of the Athletic Director and the High School Principal. Olmsted Falls High School held its annual Local Scholarship Sponsor Appreciation Brunch last Friday in the High School Media Center. 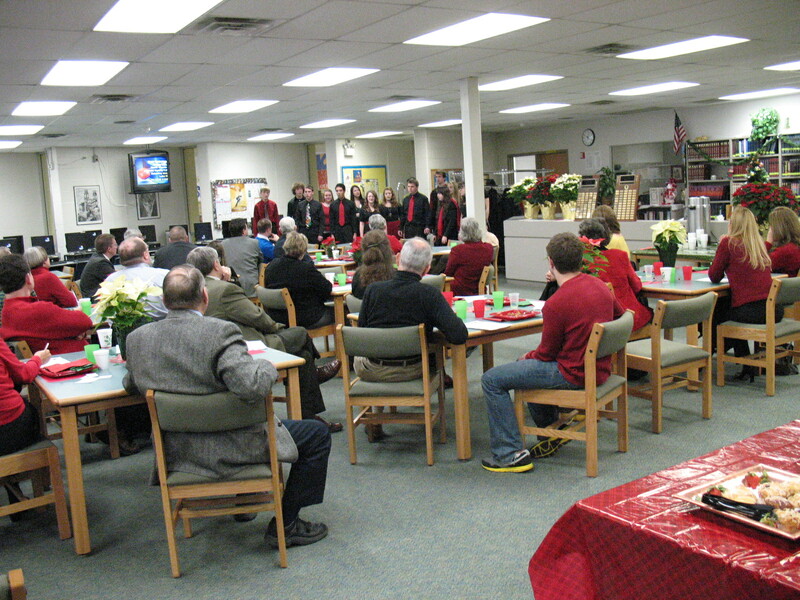 Guests were treated to a buffet breakfast and enjoyed a special holiday performance by the Golden Expressions. In addition, Bulldog alumnus Mark Mills returned to his alma mater to personally express special thanks to the sponsors who supported him this year. Mark is currently studying Engineering at The Ohio State University. Last year, these local sponsors provided more than $112,000 through 211 scholarships for members of the Class of 2010. Please click here to review the brunch event program which highlights all of the generous sponsors of the 2010 OFHS Local Scholarship Program. Our District extends its continued gratitude to all of these individuals, businesses and organizations, for their generous support of our Bulldog graduates! The 2011 OFHS Local Scholarship Program is getting underway. The scholarship application will be available at the Senior Financial Aid Night on January 10, 2011. The deadline for completed applications is February 11, 2011. For more information, please contact the OFHS Counseling Department. 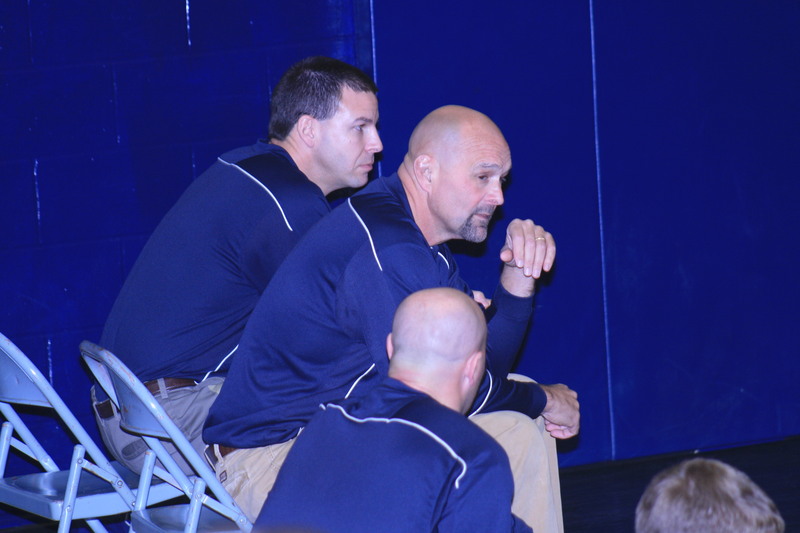 Congratulations to OFHS Head Wrestling Coach Bill McGrain on recording his 300th victory on December 4th over Eaton High School at the Findlay Duals. 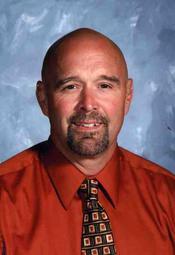 McGrain is in his 29th year as head wrestling coach, 26th year here at Olmsted Falls. Along with his 300 victories, McGrain has won thirteen Southwestern Conference titles, has coached seventy–four Southwestern Conference Champions, forty-four State Place Winners and seven State Champions. McGrain has been selected by his peers as the Southwestern Conference Coach of the Year twelve times. He is a three-time Greater Cleveland Coach of the Year and has twice been selected as The Cleveland Plain Dealer Coach of the Year. His most notable accomplishment, McGrain was inducted into the Ohio Wrestling Hall of Fame in 2006. McGrain, who’s current record sits at 301 – 58 – 3, credits his family and coaches for much of his success. The OFHS Academic Team recently traveled to Dayton for the Wright State University Rowdy Raider NAQT Tournament. This tournament drew teams from West Virginia, Kentucky, Georgia, Indiana, and Ohio. A, B, and C teams participated. The A team went through their initial brackets undefeated and came back in the championship bracket to make it to the Championship match, where they lost to Northmont (Ohio). Along the way, they posted impressive wins over Chattahoochee, GA (Top 15 team from last year’s Nationals) and Adair County, KY (Top 10 from last year’s Nationals). B and C teams held their own against A teams from the five states represented at this tournament. The success that the OFHS Academic Team is experiencing is a testament to the hard work that each and every teacher in the Olmsted Falls School District puts in every day. 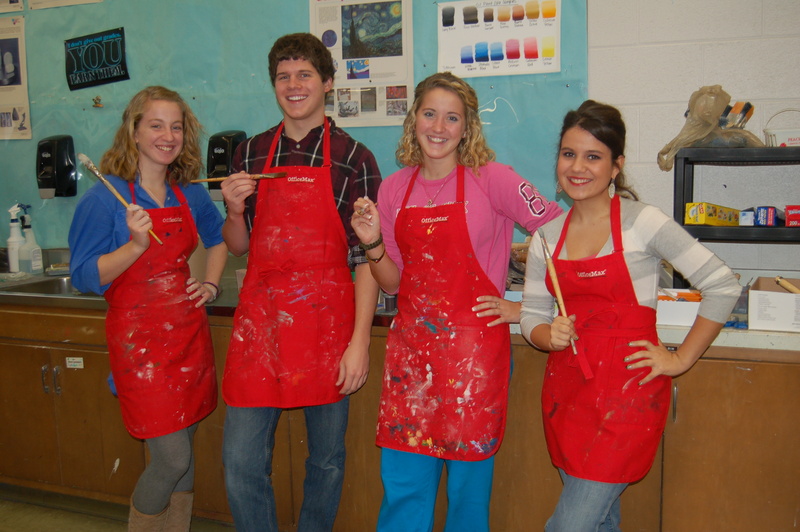 The rigorous academic classes that these students have helps to prepare them for the competitions. Thank you to all of our teachers for all they do every day for the children in the Olmsted Falls Schools. The results of the recent parent survey continue to yield useful information for Olmsted Falls Schools. We are incredibly humbled to have had more than 90% of parents who participated in the survey rate our District as either “above average” or “best in the area.” This is a testament to the daily commitment of our staff, our dedicated students and their supportive families in the Olmsted community. While there were specific areas of concern, by some parents, the overall results of the survey show that parents in the community are generally pleased with our school system. In addition to helping us identify areas of needed improvement, the survey responses have also revealed several instances of misinformation which have surfaced. A number of people have asked what we plan to do about this issue of misinformation out there. From a broad standpoint, we are looking for trends in the misinformation so that future communication efforts can be structured in a way to better prevent these misconceptions from occurring. For example, one survey respondent referenced an out-of-state field study trip taken by some of our elementary teachers a few years back. The respondent’s perception was that our District had spent tax-payer money to send these staff members on this particular excursion, when they felt the teachers could have gotten the same experience locally. In reality, the trip was the result of a competitive application by our teachers to participate in a unique field study program – completely paid for by grant money. In examining the original article highlighting this trip (which appeared in the September 2006 issue of Our School Report), we realized that while it was mentioned that “the funds for this program were provided jointly by Miami University and the Ohio Board of Regents Improving Teacher Quality program,” this information appeared in the middle of the last paragraph. Taking note of this placement helps us understand where the misperception may have originated from, and how critical it is that funding sources be clearly spelled out early in any story regarding grant-funded activities/expenditures. The recent $7.7 million State-funded expansion of Olmsted Falls Middle School is another frequently misunderstood project, as it relates to funding. Some ask why the money could not be dedicated to much-needed expansion/renovation at our High School building, while others believe the funds were used for operating expenses (salary, etc.). In reality, the $7.7 million grant was secured by the District through participation in the Ohio School Facilities Commission’s Exceptional Needs program. The funds were required to be dedicated to a District facility that met very specific requirements of the OSFC. Our High School, more than 40 years old, did not meet the requirements for funding under the OSFC grant. Funds were able to be directed to the Middle School only, or be returned to the OSFC. One final misconception that Olmsted Falls Schools struggles to combat is that because our taxes are high, our spending must be high as well. In fact, it is primarily the minimal business development within the Olmsted Community that increases the burden on our residential taxpayers. While it is true that taxes in our community are high, Olmsted Falls School District has the 3rd lowest cost per pupil of all 31 school districts in Cuyahoga County. There is always misinformation in any community and this survey was a great way to bring items to the surface so that they can now be addressed. To identify some of these misconceptions was one purpose of the parent survey. We encourage parents (or any resident) who may have questions about any aspect of District operations to continue to reach out to the Board of Education office so that we may provide you with the most accurate information. We again offer our sincere appreciation to all parents who took the time to participate in the survey. 1ST ANNUAL OLMSTED FALLS BASEBALL HOLIDAY SKILLS CAMP FOR PLAYERS IN GRADES 3-8 – Wednesday, December 22nd & Thursday, December 23rd, from 2-5pm each day. The cost will be $30 for both days -OR- $20 for one day. Please click here for details and registration form. REGISTRATION DEADLINE IS TODAY, DECEMBER 15TH. OLMSTED TOWNSHIP PRESENTS: “RAIN BARREL WORKSHOP” – TONIGHT! Wednesday, December 15th, 6:30 to 8:00 p.m. at Olmsted Falls Middle School Cafetorium – Learn how to harvest rain water for all your garden needs and to combat Storm Water Pollution in your community. Click here for more information. OFHS NATIONAL HONOR SOCIETY ANNUAL POINSETTIA SALE – Through THIS FRIDAY, December 17th – Click here for additional information and order form. OLMSTED FALLS FIRE DEPARTMENT HOSTS COMMUNITY BLOOD DRIVE – THIS FRIDAY, December 17th, 3 – 7 p.m. – Come to the Olmsted Falls Fire Department located at 9274 Columbia Road to donate blood this holiday season. FREE BEHAVIOR SUPPORT LECTURE SERIES FOR PARENTS OF CHILDREN AGES 3 TO 6 YEARS – January 6th, 13th, 20th, and 27th – Please click here for additional information. Attention Interested Parents: The first session in this series is scheduled for Thursday evening , January 6, 2011 – the week we return from break. Mark your calendars today! All schools in the Olmsted Falls School District will be closed due to inclement weather conditions on Monday, December 13th. The Olmsted Falls Board of Education held another work session last week to continue strategic discussions regarding the District’s future. Board members reviewed a summary of results from the recent parent survey, and also delved deeper into the 2.8 mill drop-off scheduled to occur in 2012. As reported previously here on the District blog, this drop-off presents an opportunity for a capital issue that would not raise taxes. The School Board is considering some type of capital issue for the May 2011 ballot, and will continue with their discussion to determine the best solution to maximize benefit for both our District and our taxpayers. As all of our residents are hopefully already aware, the Board of Education pledged to make the February 2010 operating levy last for a minimum of three years. Please note that any tax issue put on the ballot in 2011 would not be a tax issue to support District operations, but rather an issue to maintain a funding stream that would be dedicated to facilities, materials and maintenance needs. Input on this topic has also been received from a number of parents involved with our recent operating levy campaigns. A capital issue that would not raise taxes for our residents is something that many would be receptive to and willing to support. Several have noted that, in this current economy, a “no new tax” issue that would maintain funds to protect our community’s investment in our school facilities would likely make sense to voters – as they face the same maintenance challenges with their own homes (i.e. roof replacement). This discussion about the drop-off will continue at the next regular Board of Education meeting scheduled for December 15th. Last week’s blog post included links to all responses from the recent on-line Parent Survey conducted by the Olmsted Falls School District. Anyone who has taken the time to visit any of the links, quickly becomes aware of the large volume of information that is contained within them. In an effort to consolidate the information into a more condensed format, a document summarizing the information – created through the use of an affinity diagram – is now available on the website. Please click here if you have an interest in reviewing this information. Every organization has room for improvement. Olmsted Falls Schools is no exception. Moreover, my own performance as superintendent can always improve and I appreciate the constructive feedback and the comments directed at my performance that were shared by members of the Olmsted community. As written in this blog, over the past five months, the Board of Education, members of the Administration, and members of the Olmsted community, have spent several hours discussing possible strategic initiatives. This “voice of the customer” feedback is an important component in good decision making and again, I appreciate the time spent by our parents who completed this survey. Over the next several months and likely the next several years, this school district will face many strong challenges. With the “hole” in the upcoming state budget, it is not just likely, but certain, that our District will encounter a reduction in the amount of funding we receive from the state level. As these challenges occur, it will be important that the District react in the most productive way possible, and again, knowing what our community values, and knowing what our community expects to be improved, will allow us to focus upon the items necessary to build upon our tradition of excellence. 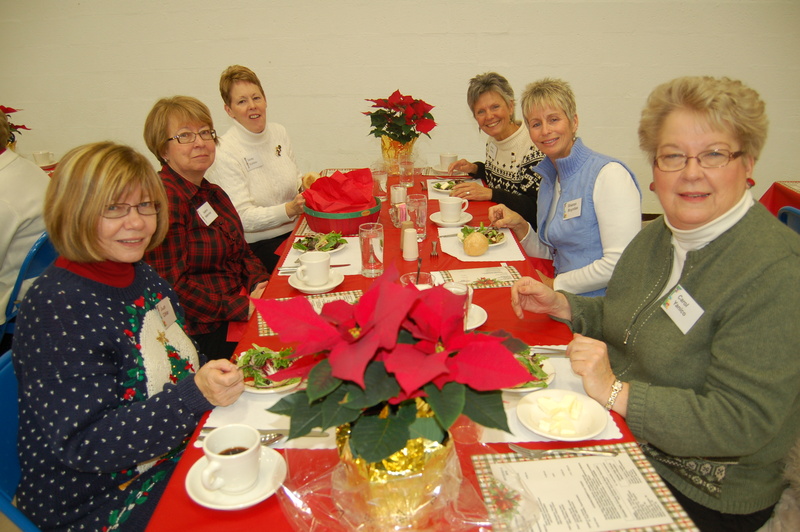 The Olmsted Falls Alumni Association hosted its annual holiday luncheon for retired bulldog staff members this past Monday at Falls-Lenox. More than 50 retired bulldogs were in attendance at this popular event, sponsored by the Olmsted Falls Board of Edu cation. Retired staff in attendance enjoyed a hot lunch served expertly by Mr. Ryan’s OWA students from OFHS. 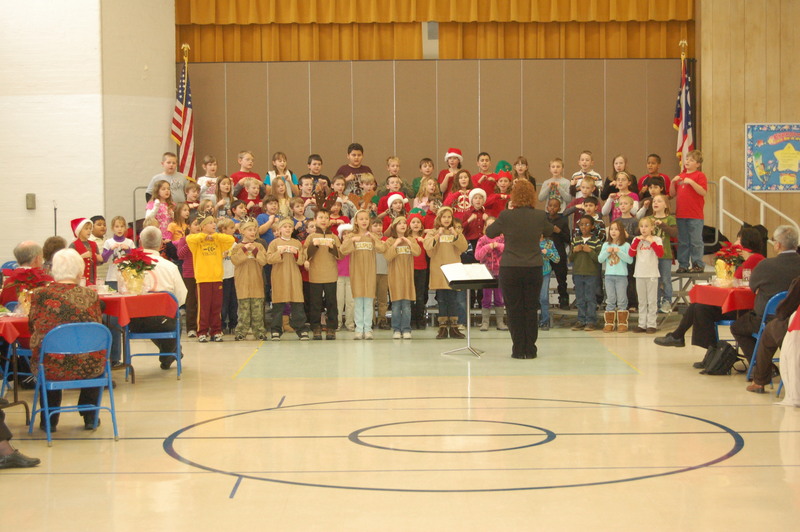 Guests were also treated to a special preview of an upcoming Christmas concert performance by the 3rd grade students. To view additional photos from the 2010 Retired Staff Holiday Luncheon, please click here. 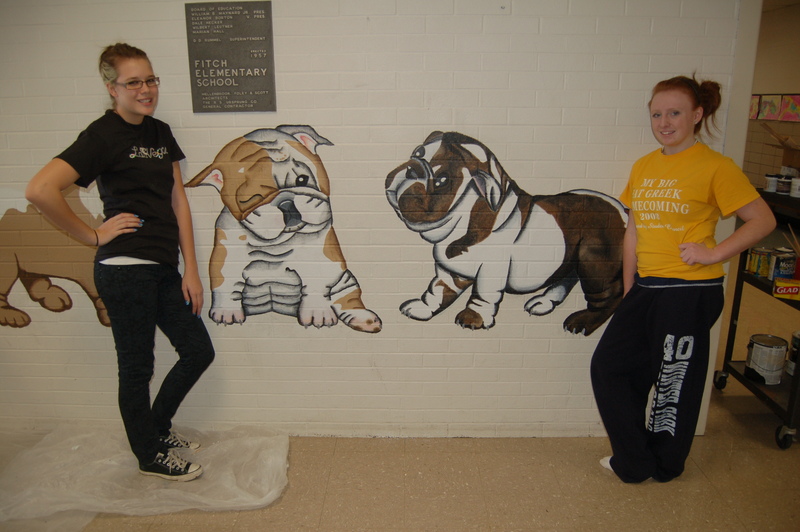 Six Olmsted Falls High School students from art teacher Mrs. Mariel Krakowiak’s class have been working diligently since the beginning of the school year to create special bulldog murals at both the Early Childhood Center and the Intermediate School. 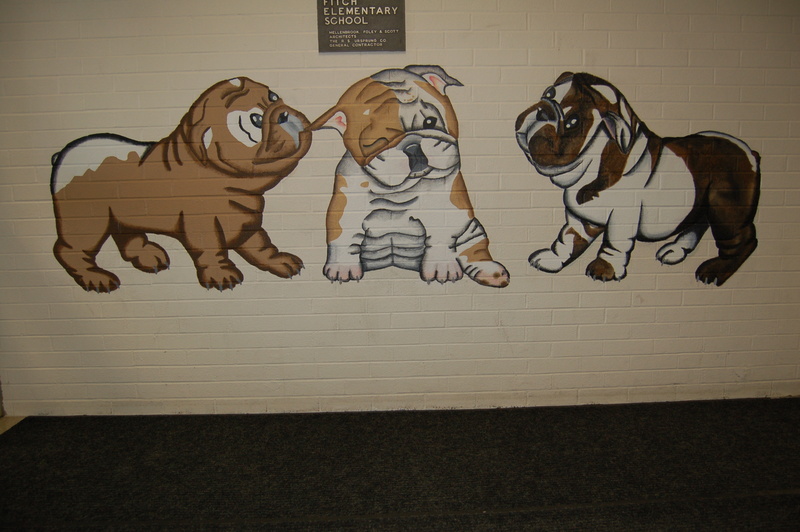 Thanks to the talents of students Amanda Grueber and Aimee Jarboe, three adorable bulldog puppies now adorn the wall just inside the entrance of the Early Childhood Center. These playful pups are a perfect fit for our preschool and kindergarten students who began attending school in the Early Childhood Center at the start of last school year. 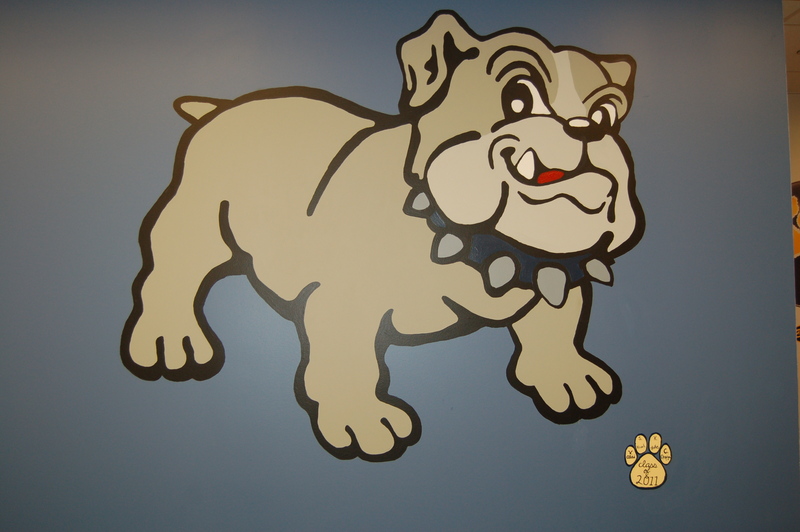 At the new Intermediate School, art students Kit John, Sean Hirsch, Tori Alai and Christy Otonoga spent months creating an oversized bulldog that now greets all visitors to the building’s main office. In addition to this big and friendly canine, these students also painted a trail of classic bulldog paw prints along the office hallway. Be sure to admire these two outstanding works of art next time you find yourself in either of these two buildings – or make a special trip just to see them. Both are well worth the visit! Beginning in September, Olmsted Falls High School Principal, Dr. Bob Hill, began a series of lunches which brings together students and building administrators to discuss building issues and events. These lunches are held monthly and alternate between a group of freshmen and sophomore students, and a group of junior and senior students. Students are selected by counselors to represent a broad cross-section of the student population. Different students are invited each month, and a pizza lunch is provided by Dr. Hill. Assistant principals and school counselors sit in as well. Both students and administrators bring items to the agenda for each meeting. The first lunch of the year resulted in an adjustment to the High School bell schedule to better meet the needs of the students. Olmsted Falls Middle School is up for the Fox 8 News “Cool School of the Week!” Parents, students and staff are encouraged to help make our Middle School the next “Cool School of the Week” by voting today. Voting is taking place on-line now at: http://www.fox8.com/news/education/coolschools/. Congratulations fundraising grand prize winner Kyle Kruichuk! A big thanks to all of the family, friends, and neighbors who bought Entertainment Books and Sally Foster gift cards from the students at Falls-Lenox and the ECC. The fundraiser was very successful, raising over $20,000 for the F-L/ECC PTA. The funds raised are used to send all K-3 students to Playhouse Square, provide the end of the school year field day, provide the 3rd grade graduation picnic day, support Right to Read Week, and provide the funding for Publishing Company, which laminates and binds students’ books and special projects (along with many other PTA events). 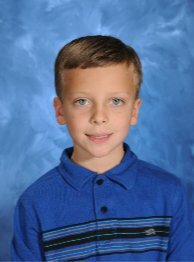 Congratulations to the winner of the grand prize, Kyle Kruichuk, a second grader. Kyle will receive 2 tickets to be part of the Cleveland Cavaliers Fan Tunnel. Also a big thanks to Kristie Patton and the volunteers for all of their hard work! Once all of the prizes have been received, they will be distributed to the students. Olmsted Falls Relay For Life Co-Chairs, Lisa Brady and Michelle LaGruth, were presented with an award for the Olmsted community at the 2010 Relay for Life Leadership Summit for the State of Ohio held November 19th in Columbus. 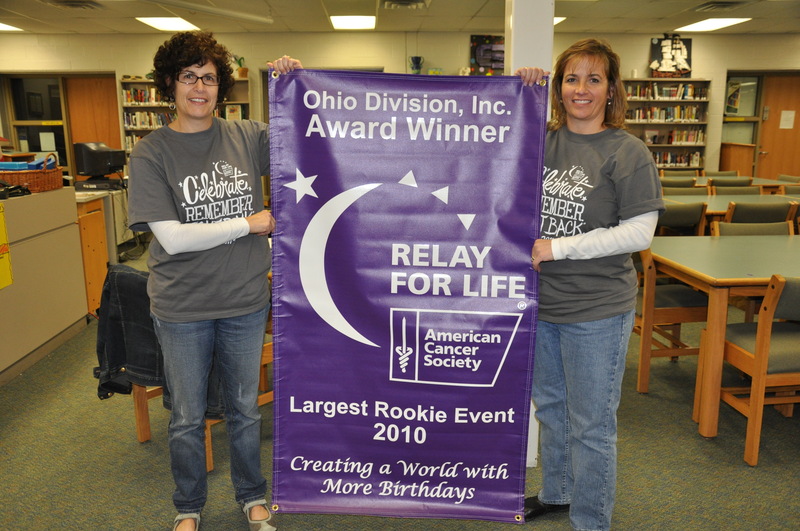 The American Cancer Society named The Relay For Life of Olmsted Ohio’s Largest Rookie Event of 2010. The “Rookie” award goes to the largest NEW relay in the entire state of Ohio each year. The Olmsted community rallied together last June and raised more than $112,000 for cancer research during its first-ever Relay for Life event. This recognition is truly well deserved and appreciation is extended to every member of the Olmsted Relay for Life family for all the hard work and dedication. Congratulations Olmsted Falls! Relay for Life 2011 is scheduled for June 11& 12 at the OFHS Stadium. If you are interested in participating in Relay For Life of Olmsted, please visit the website at www.relayforlife.org/olmstedfalls. OFHS SWIM & DIVE BOOSTERS ANNUAL HONEY BAKED HAM SALE – Through This Saturday, December 11, 2010 – Order delicious Honey Baked Spiral Sliced Hams, Turkey Breasts, Boneless Hams, Combinations, Desserts, and Gift Certificates for your holiday entertaining. Pick up your orders close to home and beat standing in line! You pay the same price as in the actual stores – no mark up! Support OFHS Swim & Dive Boosters and get your holiday HoneyBaked from us! Click here for additional information and order form. OLMSTED FALLS ATHLETIC BOOSTERS ANNUAL BULLDOG SPORTSWEAR HOLIDAY SALE – This Saturday, December 11th, 9 a.m. to 1 p.m. in the Olmsted Falls High School cafeteria. Plan to make a big dent in your holiday shopping at the OFAB Bulldog Sportswear. Tons of great items for mom, dad, kids, grandparents, and friends! In addition to our wide selection of Bulldog clothing, there will be floor mats, flags, decals, stadium seats, ties, hats, two styles of earrings and much more. OF Cheerleaders will be on hand to wrap your gifts too! OLMSTED TOWNSHIP PRESENTS: “RAIN BARREL WORKSHOP” – Wednesday, December 15th, 6:30 to 8:00 p.m. at Olmsted Falls Middle School Cafeteria – Learn how to harvest rain water for all your garden needs and to combat Storm Water Pollution in your community. Click here for more information. 1ST ANNUAL OLMSTED FALLS BASEBALL HOLIDAY SKILLS CAMP FOR PLAYERS IN GRADES 3-8 – Wednesday, December 22nd & Thursday, December 23rd, from 2-5pm each day. The cost will be $30 for both days -OR- $20 for one day. Please click here for details and registration form. REGISTRATION DEADLINE IS WEDNESDAY, DECEMBER 15TH. OFHS NATIONAL HONOR SOCIETY ANNUAL POINSETTIA SALE – Through Friday, December 17th – Click here for additional information and order form. OLMSTED FALLS FIRE DEPARTMENT HOSTS COMMUNITY BLOOD DRIVE – Friday, December 17th, 3 – 7 p.m. – Come to the Olmsted Falls Fire Department located at 9274 Columbia Road to donate blood this holiday season. Thank you again to the more than 600 parents who participated in the recent on-line survey conducted by Olmsted Falls School District. Results to each question are now available on the District website (in the District News section on the main home page). Each question can be accessed as an individual PDF file. We invite you to click on the links below for quick access to results/responses for any or all of the survey questions. PLEASE NOTE: All narrative responses have been reviewed to ensure no personally slanderous remarks or profanity are published. It is the intention of the Olmsted Falls School District to publish all submitted survey responses – redacting only mentions of personal names and/or profanity as needed. It is also important to note that some misinformation is evident when reading through the responses, but this information is useful and important for our future communication efforts. We invite and encourage you to post comments or questions here on the blog regarding these Parent Survey results. Question 1: When you think of Olmsted Falls Schools, what first comes to your mind? Question 2: What do you like about the Olmsted Falls Schools? Question 3: How could the Olmsted Falls Schools be improved? Question 4: There has been a lot of public / media discussion lately about the need to improve our nation’s schools. What is your idea of a quality school system? Question 5: What do you NOT want to see changed in the Olmsted Falls Schools? Question 6: When you think about the future of Olmsted Falls Schools, what concerns you most? Question 7: Rating scale regarding importance of select educational program factors. Question 8: Rating scale regarding level of emphasis for select areas of concentration. Question 9: In your opinion, how do the Olmsted Falls Schools compare with other school systems in the area? Question 10: What additional course offerings would you like to see made available to the students in the Olmsted Falls School District? Question 11: In your opinion, what skills should students possess when they graduate from Olmsted Falls High School? Question 12: In recent years, has your overall attitude toward public schools in this community become more favorable, less favorable or stayed the same? Thank you again to the more than 600 parents who participated. Your time, effort and honesty are very much appreciated. With the upcoming holidays and the season of giving upon us, third grade students in the classes of Mr. Acerra, Mrs. Duray, Mrs. Richmond-Smith, and Mrs. Sparks at Falls-Lenox embarked on a citizenship project. Just prior to the Thanksgiving holiday, students collected nonperishable food and personal care items. 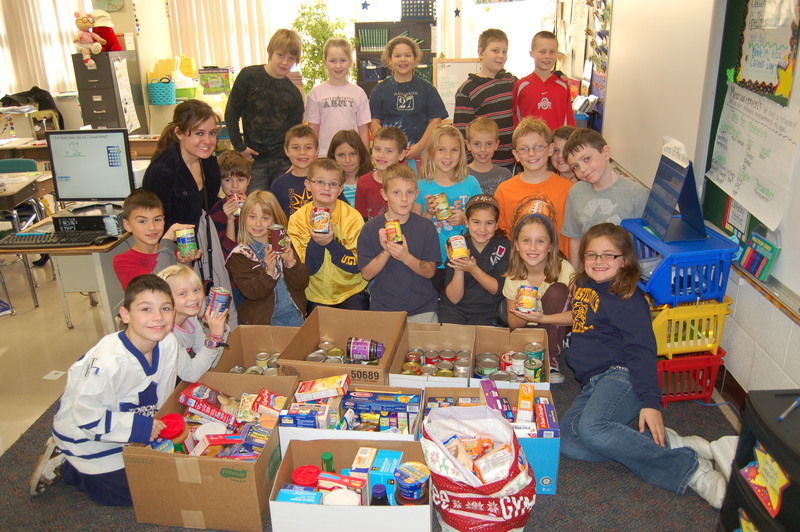 Approximately 1,100 items were collected – and counted – by the students. The teachers then proudly delivered the collected items to The City Mission in Cleveland to help those less fortunate for their holiday meals and care. Thank you to these students and teachers for helping us make a difference in the community. 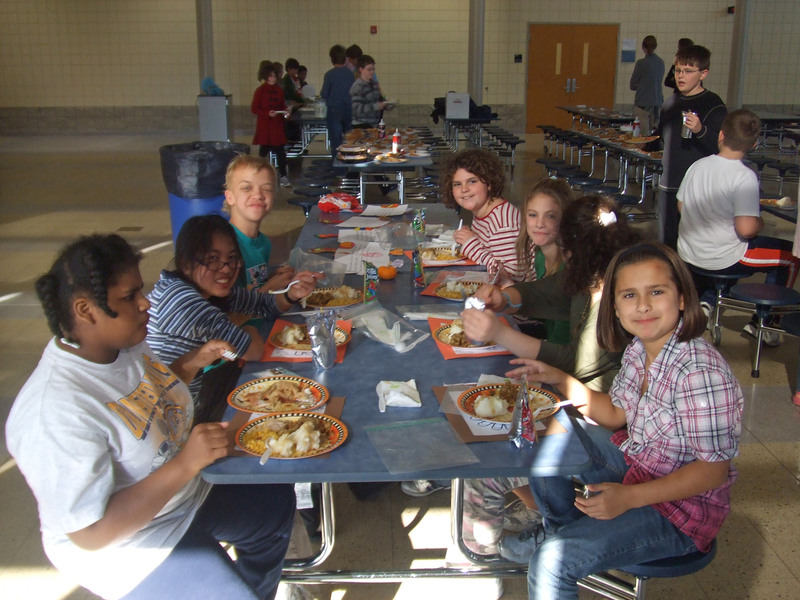 Students and staff at Olmsted Falls Intermediate and Middle schools participated in special Thanksgiving events prior to the holiday break. Students in Mrs. Casterline’s class at the Middle School hosted their annual Thanksgiving Feast, feeding staff members a wonderful turkey luncheon complete with all the trimmings and dessert. This annual event provides students the opportunity to practice skills they have learned during the year. In addition to current Middle School staff members, the students also hosted retired Middle School staff members for this special event as well as staff members from the District’s Central Office. Please click here to view additional photos from the event. At the Intermediate School, Mrs. Giamboi’s special education class partnered with Mrs. Stanczak’s and Mrs. Swanson’s 4th grade classes for their own special feast to celebrate Thanksgiving and what they had all learned about the Pilgrims and the Indians. The activity provided a very nice opportunity to involve students with moderate/intensive needs and regular education students in a common learning experience. Please click here to view additional photos from this event. Four times a year, The Plain Dealer accepts nominations for the Crystal Apple Award to recognize extraordinary educators throughout Northeast Ohio. For the first recognition period of the 2010-2011 school year, Falls-Lenox special education teacher Ms. Michelle Schoenhofer was selected as the winning educator for the grade category K-5. She was nominated by Bulldog parent Paula Grant. Representatives from The Plain Dealer and Crystal Apple Award sponsor Bryant & Stratton College surprised Ms. Schoenhofer by presenting the award in her classroom among family members, parents and colleagues. A special recognition ad ran this past Sunday in The Plain Dealer, featuring photos of both Ms. Schoenhofer and Mrs. Grant as well as an excerpt from Mrs. Grants nomination essay. 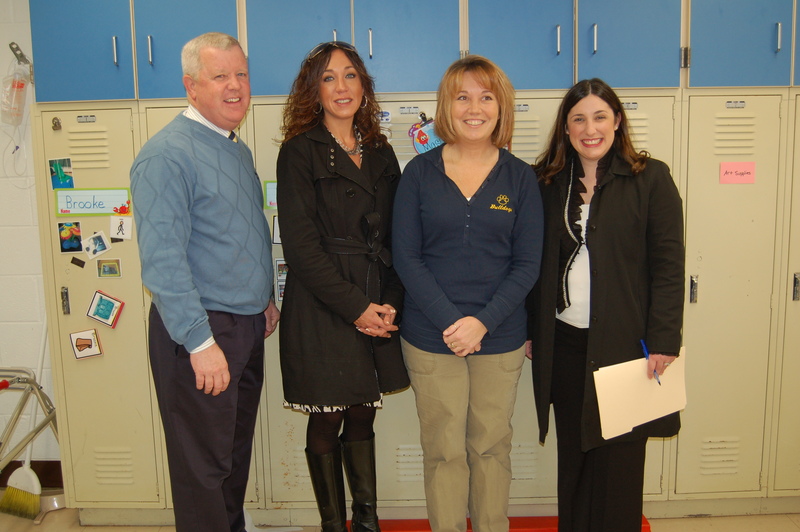 Pictured (L to R): Falls-Lenox Principal Mr. Neil Roseberry, Bryant & Stratton College Director of High School Admissions Ms. Suzanne Nash, Crystal Apple award winner Ms. Michelle Schoenhofer, and Plain Dealer Education Services Manager Ms. Lori Marks. Congratulations to Ms. Schoenhofer on this well-deserved recognition! 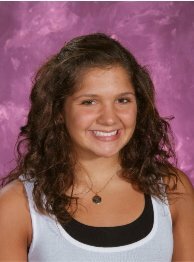 Congratulations to OFHS volleyball player Dayna Roberts on being named to the 2010-2011 Under Armour Second-Team All-America. The American Volleyball Coaches Association (AVCA) announced the 5th annual Under Armour Girls High School All-America Teams just before Thanksgiving. Dayna was one of just 100 players selected for this year’s honors. These 100 top-rated players represent 31 states and 87 high schools across the country. Many have already committed to play collegiate volleyball at some of the top programs in the country. Requirements for nomination were that the student-athlete be in her senior year of high school, that she be nominated by her high school coach, that her coach be a member of the AVCA and that her individual season statistics versus all opponents for the entire season be entered into MaxPreps, a free service that aggregates and distributes data on high school sports. A huge Thank You to all the parents who are supporting the “Healthy Choices-Be a Healthy Hero” program at home. In less than 2 weeks we’ve had over 30% of kindergarten students return completed Healthy Choices cards and over 20% of elementary students. Many students are returning completed cards on a daily basis. Overall, students have made more than 2,000 healthy choices by choosing healthier snacks, exercising daily or demonstrating good hygiene habits. Due to this enormous response we will only be able to give out silly bandz for completed Healthy Choices cards once a week on a “secret silly band day.” That day will change every week and the students won’t know which day it will be. On the other days of the week kids will receive a sticker. The “Healthy Choices-Be a Healthy Hero program will be implemented at the Intermediate School on December 7th. More information will be sent home with students at that time. Due to the hard work and help from the Student Council and PTA and the generosity of the many donors, the High School’s blood drive on November 24th was a huge success. Sixty nine pints of blood were collected making it one of the schools biggest drives ever!! Thanks to everyone who participated. Our next drive is Thursday, April 28th. Remember: Damon’s has big screen TVs — a perfect setting to watch the Cleveland Cavaliers match up against the Miami Heat. (Game time is 8 p.m.) We look forward to seeing you there. OFHS SWIM & DIVE BOOSTERS ANNUAL HONEY BAKED HAM SALE – Through Saturday, December 11, 2010 – Order delicious Honey Baked Spiral Sliced Hams, Turkey Breasts, Boneless Hams, Combinations, Desserts, and Gift Certificates for your holiday entertaining. Pick up your orders close to home and beat standing in line! You pay the same price as in the actual stores – no mark up! Support OFHS Swim & Dive Boosters and get your holiday HoneyBaked from us! Click here for additional information and order form. OLMSTED FALLS ATHLETIC BOOSTERS ANNUAL BULLDOG SPORTSWEAR HOLIDAY SALE – Saturday, December 11th, 9 a.m. to 1 p.m. in the Olmsted Falls High School cafeteria. Plan to make a big dent in your holiday shopping at the OFAB Bulldog Sportswear. Tons of great items for mom, dad, kids, grandparents, and friends! In addition to our wide selection of Bulldog clothing, there will be floor mats, flags, decals, stadium seats, ties, hats, two styles of earrings and much more. OF Cheerleaders will be on hand to wrap your gifts too! OLMSTED TOWNSHIP PRESENTS: “RAIN BARREL WORKSHOP” – Wednesday, December 15th, 6:30 to 8:00 p.m. at Olmsted Falls Middle School Cafeteria – Learn how to harvest rain water for all your garden needs and to combat Storm Water Pollution on your community. Click here for more information. 1ST ANNUAL OLMSTED FALLS BASEBALL HOLIDAY SKILLS CAMP FOR PLAYERS IN GRADES 3-8 – Wednesday, December 22nd & Thursday, December 23rd, from 2-5pm each day. The cost will be $30 for both days -OR- $20 for one day. Please click here for details and registration form. REGISTRATION DEADLINE IS WEDNESDAY, DECEMBER 15TH.